Hi NITEPers! Looking for a digital resource tip you saw in the bulletin a few weeks ago, but can’t seem to find it in your email? Don’t worry, Amber’s got you! Here you will be able to find the weekly digital resource tips from the past student bulletins, as well as additional links and tools you may find useful. Learn about what the Scarfe Digital Sandbox can offer you as a teacher candidate. 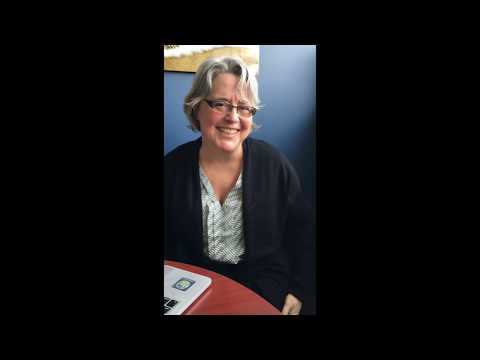 Yvonne Dawydiak highlights some of the ways you can save time, learn new digital skills, enhance classroom pedagogy, connect to BC curriculum, and find tools tailored for education professionals. Learn about digital health resources that will provide you with both physical and mental health support. This week’s video series is about working online, offline. Learn how to build your skills as a student in online forums and classes, as well as building community and staying connected if you aren’t gathering in a physical classroom. January 29, 2019: Introducing the NITEP video series! Check out Amber’s introduction to the NITEP video series. Send us ideas for videos you want to see next! The digital resource for this week is about developing yourself as a student (and professional) holistically. There are also tons of resources that are free and easily accessible online. I recommend checking out the Calm app (iTunes store or Google), which can guide you through meditation practice, read you bedtime stories, or just play beautiful nature sounds in the background while you work. They’re even on Instagram if you don’t want to download another app; try a 15-second deep-breathing exercise and see how you feel! I also recommend checking out the Indigenous wellness initiative, Well For Culture on Instagram or their website for great ideas on how to bring culture, traditional foods, and healthy activity into your self-care routine. Working in groups can be challenging, but using online spaces to collaborate can help relieve some of the stress. As a UBC student, the online learning platform Canvas offers opportunities to work together, and share documents or assignments with other students, professors, or even the class. Check out Canvas help page if you want more info. Google Docs is a common place for groups to work together and it offers many benefits: free access, automatically saves changes, and multiple people can work at once. Google Hangouts is an instant messaging platform, that’s taken off in the past little way, but you can also just chat in Google Docs while working. For more assistance with Google Docs, visit this link. Developing your skills as a teacher (and current student!) is an ongoing process where you are always learning. It’s important to make sure you are utilizing tools in your classroom that make learning fun, engaging, and meaningful for students, but this can also be an opportunity to make things easier on yourself! Check out this list of tech tools for teachers to help you create presentations, evaluate more efficiently, and even access museums from around the world. We live in an increasingly digital age, and social media is a large part of our communication process with friends, families, and colleagues. As educators, we need to be extra diligent about our conduct online because we occupy a place of trust with our students and are held to higher standards. Most provinces regulate teacher conduct and the Teacher Regulation Board of BC Standard #2 specifies: Educators understand that their individual conduct contributes to the perception of the profession as a whole. Educators are accountable for their conduct while on duty, as well as off duty, where that conduct has an effect on the education system. Brush up on teacher regulations often to ensure you continue to demonstrate the values of the education profession in all the aspects of your life. Don’t forget, privacy settings don’t hide everything! Err on the side of caution in your conduct online. Wondering about how to write your discussion posts online? Are you trying to move conversation forward in online discussion forums in a meaningful and respectful way? Here is a great resource to help guide your thinking around written contributions in online forums. Save yourself from struggling through online classes and check out these tips. For questions or additional support, contact Amber.